» Featured » Forecast of Japan’s GDP may brighter than former expectations. Forecast of Japan’s GDP may brighter than former expectations. Japan’s economic growth rate is revealed on Friday, and it is doubled in the third quarter, with expansion seen to continue thanks to buoyant exports. The capital expenditure component of gross domestic product was revised to a rise of 1.1 percent from the previous quarter, well over the forecast 0.4 percent growth, and it is doubled than the preliminary 0.2 percent reading. The economy grew an annualized 2.5 percent in July-September, which is more than the median estimate for 1.5 percent annualized growth. The figure translates into quarter-on-quarter growth of 0.6 percent, versus a preliminary reading of 0.3 percent growth and the median estimate for 0.4 percent growth. The revised figures showed that Japan is in its longest uninterrupted period of growth since comparable data became available in 1994. This a boon to the government as it is expected to agree later on Friday a spending package to subsidize education and encourage more corporate investment. Japan’s economy has expanded for seven consecutive quarters, and many economists expect growth to continue as consumer spending gains strength and export growth is seen on track to continue. 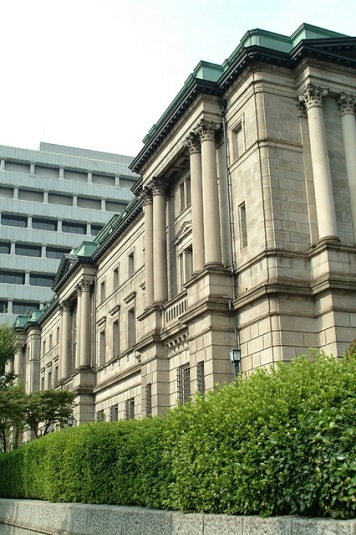 On the other hand, BOJ chairman Kuroda Haruhiko said in other day “Our QE seems works good and push up Japanese economy, however still we cannot say exactly when we can hit our expected inflation rate.”. Japanese median salary rate is rose up, no matter how, imposed sales tax up at 2014 keep shading on consumer spending strength, and Gov Japan plan to implement new taxation in near future which eliminate 100k Yen tax deduction from the person who earn more than 8.5 million Yen/year (almost 75k usd). According to mixed factor, we keep eyes on Japanese economy situation and consuming strength.